There is no correlation between the duty of man and whether he is blessed or cursed. Duty is what man ought to fulfill; it is his bounden duty and should not depend on recompense, conditions, or reasons. Only then is that doing his duty. A man who is blessed enjoys goodness upon being made perfect after judgment. A man who is cursed receives punishment when his disposition remains unchanged following chastisement and judgment, that is, he has not been made perfect. As a created being, man ought to fulfill his duty, do what he ought to do, and do what he is able to do, regardless of whether he will be blessed or cursed. This is the very basic condition for man, as one who seeks after God. You should not do your duty only to be blessed, and you should not refuse to act for fear of being cursed. Let Me tell you this one thing: If man is able to do his duty, it means he performs what he ought to do. If man is unable to do his duty, it shows the rebelliousness of man. It is always through the process of doing his duty that man is gradually changed, and it is through this process that he demonstrates his loyalty. As such, the more you are able to do your duty, the more truths you shall receive, and so too shall your expression become more real. Those who merely go through the motions in doing their duty and do not seek the truth shall be eliminated in the end, for such men do not do their duty in the practice of truth, and do not practice truth in the fulfillment of their duty. Such men are those who remain unchanged and will be cursed. Not only are their expressions impure, but what they express is nothing but wickedness. In performing a duty, when people do not put the truth into practice or seek the truth, when they do not devote their hearts to the truth, and when they merely use their brains to memorize, their hands to act, and their legs to run, even if they have completed the task, they have not truly accomplished God’s commission. There are standards for the accomplishment of God’s commission. The Lord Jesus said: “You shall love the Lord your God with all your heart, and with all your soul, and with all your mind, and with all your strength.” Loving God is one aspect of what God requires of people. In fact, when God gives people a commission, when they perform their duty from their faith, the standard that He requires of them is this: with all your heart, with all your soul, with all your mind, and with all your strength. If you are present but your heart isn’t, if you think about tasks with your head and commit them to memory, but you don’t put your heart into them, and if you accomplish things using your own abilities, is that completing God’s commission? So what kind of standard must be achieved in order to perform your duty properly and accomplish what God has entrusted you with, and to perform your duty loyally? That is doing your duty with all your heart, with all your soul, with all your mind, with all your strength. Peter was made perfect through experiencing dealing and refinement. He said, “I must satisfy God’s desire at all times. In all that I do I only seek to satisfy God’s desire, and whether I am chastised, or judged, still I am happy to do so.” Peter gave his all to God, and his work, words, and entire life were all for the sake of loving God. He was someone who sought holiness, and the more he experienced, the greater was his love for God deep within his heart. Paul, meanwhile, did only outward work, and though he also worked hard, his labors were for the sake of doing his work properly and thus gaining a reward. Had he known that he would receive no reward, he would have given up his work. What Peter cared about was the true love within his heart, and that which was practical and could be achieved. He did not care about whether he would receive a reward, but about whether his disposition could be changed. Paul cared about working ever harder, he cared about outward work and devotion, and the doctrines not experienced by ordinary people. He cared nothing for changes deep within him and a true love of God. The experiences of Peter were in order to achieve a true love and a true knowledge of God. His experiences were in order to gain a closer relationship to God, and to have a practical living out. The work of Paul was because of that entrusted to him by Jesus, and in order to obtain the things that he longed for, yet these were unrelated to his knowledge of himself and God. His work was solely for the sake of escaping chastisement and judgment. What Peter sought was pure love, and what Paul sought was the crown of righteousness. Peter experienced many years of the work of the Holy Spirit, and had a practical knowledge of Christ, as well as a profound knowledge of himself. And so, his love of God was pure. Many years of refinement had elevated his knowledge of Jesus and life, and his love was an unconditional love, it was a spontaneous love, and he asked for nothing in return, nor did he hope for any benefits. Paul worked for many years, yet he did not possess a great knowledge of Christ, and his knowledge of himself was also pitiably small. He simply had no love for Christ, and his work and the course that he ran were in order to obtain the final laurel. What he sought was the finest crown, not the purest love. He did not seek actively, but did so passively; he was not performing his duty, but was compelled in his pursuit after having been seized by the work of the Holy Spirit. And so, his pursuit does not prove that he was a qualified creature of God; it was Peter who was a qualified creature of God who performed his duty. The work of Paul pertains to the provision to the churches, and the support of the churches. What Peter experienced were changes in his life disposition; he experienced a love of God. Now that you know the differences in their substances, you can see who, ultimately, truly believed in God, and who did not truly believe in God. One of them truly loved God, and the other did not truly love God; one underwent changes in his disposition, and the other did not; one served humbly, and was not easily noticed by people, and the other was worshiped by people, and was of great image; one sought holiness, and the other did not, and though he was not impure, he was not possessed of a pure love; one was possessed of true humanity, and the other was not; one was possessed of the sense of a creature of God, and the other was not. Such are the differences in the substances of Paul and Peter. The path that Peter walked is the path of success, which is also the path of achieving the recovery of the normal humanity and duty of a creature of God. Peter represents all those who are successful. The path walked by Paul is the path of failure, and he represents all those who only submit and expend themselves superficially, and do not genuinely love God. Paul represents all those who do not possess the truth. All those who have not entered the proper path of faith in God, whose life disposition has not experienced any change whatsoever and who do not understand a bit of the truth, as long as they rely on their enthusiasm and on their motivation to obtain blessings, and are willing to make a bit of an effort, then they can render service. Once someone understands some truths, has true faith in God, no longer has any doubt about God at all, has an understanding of God’s work, sees that the purpose of God’s work is entirely to save and perfect people and can see that God’s love for man is truly great, and has developed a heart that loves God and a heart that returns the love that God gives to us, then the duties that this kind of person fulfills can be said to be good deeds. The duties that this person fulfills can officially be deemed as duties fulfilled by one of God’s creations, and are not rendering service. Fulfilling duties means that you are willing to fulfill your duties as a means to repay God’s love. This is the difference between fulfilling duties and rendering service. The motive is not the same. The state and condition inside the heart are not the same. Rendering service is performing some duty whilst being dominated by one’s motivation to obtain blessings and one’s enthusiasm. Truly fulfilling one’s duty is done on the foundation of an understanding of the truth. It is based on the understanding that the created fulfilling their duties is the law of heaven, and it is on a foundation of knowing the love of God and the desire to return this love to God that the desire to fulfill one’s duties arises. This is what it means to truly and properly fulfill one’s duties. All people who focus on life and seek to be God’s people are able to take performing their duty as a responsibility that cannot be shirked; they do this to repay God’s love. They do not haggle over rewards in performing their duty and they have no demands. Everything that they do can be called performing their duty. The category of those who are called service-doers at best make a little effort to appease God so that they might be blessed. Their faith is tainted. They have no conscience or reason, much less do they pursue the truth or life. Because they can see how terribly they are by nature and so they could not possibly become God’s people, they abandon their pursuit to become God’s people, always living within a state of negativity. Hence, everything they do is rendering service because they are bound by their own distorted concept of God’s will. The path that a person takes determines whether what he does is performing his duty or rendering service. 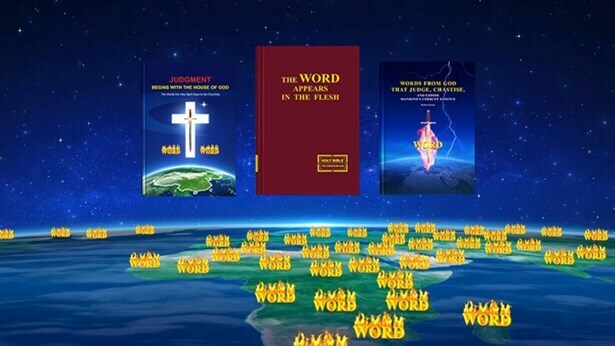 If he pursues the truth and focuses on life, performs his duty well to repay God’s love and satisfy God, and works hard toward the goal of being one of God’s people, if this sort of vision is his support, then what he does is certainly performing his duty. All those who lack the truth, who are despairing and live in a state of negativity, just putting forth a little effort to appease and hoodwink God are the kinds of people who just render service. It’s clear that all service-doers truly are people without conscience or reason, and they are those who don’t pursue the truth and do not possess life. From this, it is evident that those who don’t have resolve, who don’t pursue the truth, and don’t focus on life perhaps don’t even deserve to be service-doers. They are of a terrible nature; they’re unwilling to accept truth and don’t believe in God. They even harbor doubts toward God’s words. This is precisely their own deceit doing them in. If someone truly is a service-doer, he still needs to perform service well and not be perfunctory and slipshod. Only this can qualify him to be a service-doer who remains; that would make him very fortunate. Truly becoming a service-doer is no simple matter. Previous：What is doing one’s duty? Next：What is meant by “leave everything behind and follow God”? The work carried out by the one who is used by God is in order to cooperate with the work of Christ or the Holy Spirit. This man is raised up by God among man, he is there to lead all of God’s chosen ones, and he is also raised up by God in order to do the work of human cooperation. ...God’s aim in using this man is so that all those who follow God can better understand God’s will, and can attain more of God’s requirements. It is the same as people in religion, they believe in God in name, when in reality they all believe in the pastor, follow the pastor; the pastor is their Lord, the pastor is their God. ...always wants to hear how people speak, always wants to see how people act, and with every act and move is inseparable from others. This kind of person unwittingly becomes someone who believes in people and follows people. All those who look up to people too much, who worship people too much, in fact are believing in people and following people, and this is absolutely true.